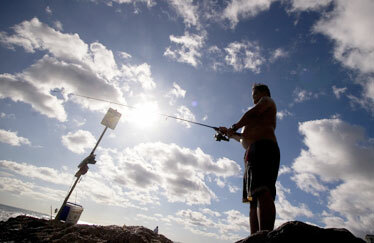 Pedro Asuncion reeled in his line while fishing on a warm sunny day in Waikiki yesterday afternoon. 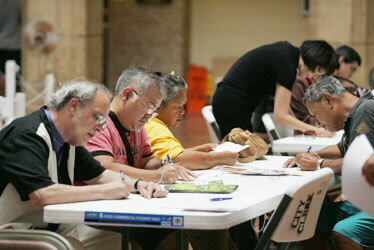 Voting was brisk at Honolulu Hale yesterday. Registered voters who would like to vote early can do so until tomorrow.